If you played on perfect curve (Mana Wyrm > Sorcerer's Apprentice > Flamewaker), then this card is devastating. But if you run Archmage Antonidas and you know the opponent is control, you might want to get greedy and save it until you can place Apprentice + Antonidas + cheap spell spam, OR with an Emperor Thaurissan discount. You really shouldn't play this on an empty board early on because it's just 3 damage to enemy's face. 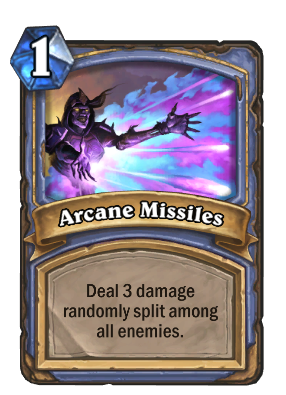 Arcane misslies need love too!